Shhh, come closer! Yes! This is your secret key to polishing almost any music track with a whispering voice here, some atmospheric haunting syllables there or just an in-your-face-shout before your tune explodes on the dancefloor! 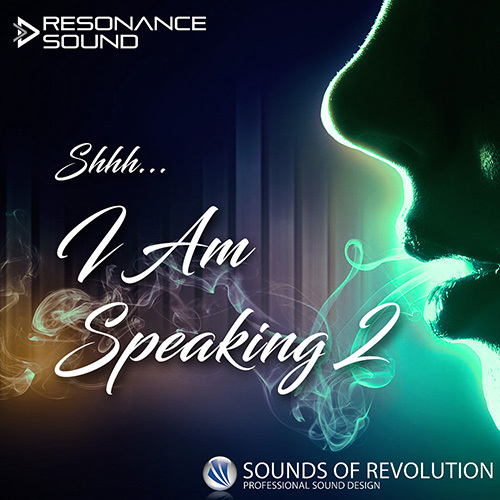 Sounds Of Revolution presents a true diamond amongst vocal sample collections – the highly anticipated follow-up Shhh – I Am Speaking Vol. 2. Having on board the same professional native UK speaker, even maintaining the same recording conditions as well as matching phrases between Vol. 1 and 2 this is the perfect extension for those who loved the first sample pack and of course for anyone only starting! Once again you’ll find a vast variety of spoken vocals, ready to use in a building-block fashion or alone. Needless to say these are perfectly clean with a professional stereo image (100% mono-compatible) and with no effects added, each word/phrase spoken in up to 5 different variations and leaving all creativity to the producer. Use the vocals as-is or run them through your favorite vocoder, time-stretcher, pitch shifter, or other effect of your choice to add your own distinct flavor to these sounds. Now we’re talking? You bet we do! Please note: ‘SOR Shhh – I Am Speaking 2’ is a vocals pack only. The demo contains sounds not included in this pack that are for demonstration purposes only.